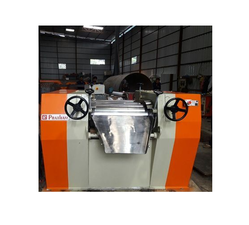 Owing to our advanced technologies, we have been able to manufacture an array of triple roll mill. These products are fabricated using qualitative raw material such as stainless steel. This product is valued in the market for superfine grinding & dispersion of paints, printing ink, chemicals and chocolates. Clients can avail these products in different sizes having cooling arrangement with stainless steel and C.I. Rollers. They are widely used to mix electronic thick film inks, high performance ceramics, cosmetics, plastisols, carbon/graphite, paints, printing inks, pharmaceuticals, chemicals, glass coatings, dental composites, pigment, coatings, adhesives, sealants, and foods. 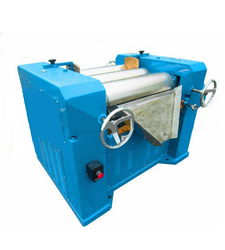 Looking for Tripple Roll Mill ?